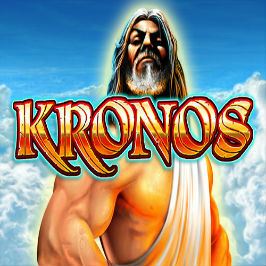 Kronos online slot is the sequel to the ever-popular Zeus slot game, and focuses on the exploits of the powerful god’s father, Kronos. Yet again, developers at WMS have come up with the goods. This is a titanic slot title that presents its all-conquering subject matter in style. With a top prize of 2,500 coins and free spins rounds with up to 100 freebies, Kronos online slot has upped the ante once more. 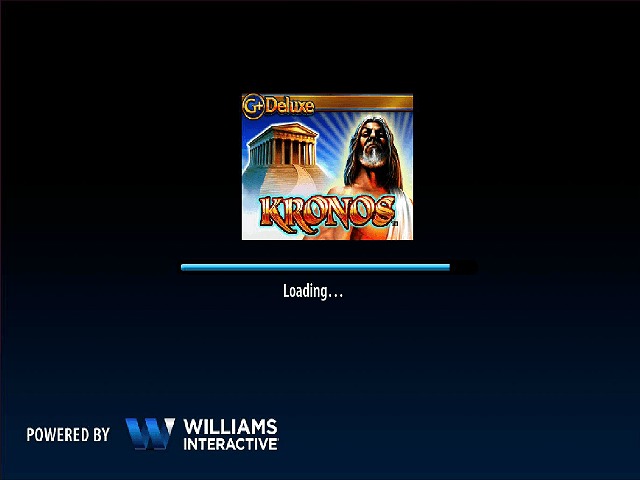 So by the beard of Zeus, let’s see what Kronos has to offer! Kronos himself is the top payer, handing out prizes of 0.40, 2.00 and 7.50 for matching three, four or five respectively on your reels. You can adapt the Kronos slot to your own specifications regarding paylines and amount wagered with each spin. High rollers will seek the maximum amount of £60 (20 paylines at 3.00 per line), while the rest will adapt their spins as they see fit. To do this, simply click the up and down arrows to modify the number of active paylines and the bet per line amount, and this in turn will calculate the total bet outlined in the relevant box. Once you’re satisfied, hit the spin button to get started. There are two other symbols you need to know, both with godly powers in their own right. The wild – a golden mask – substitutes for all other symbols (apart from the feature) to help create winning combinations. 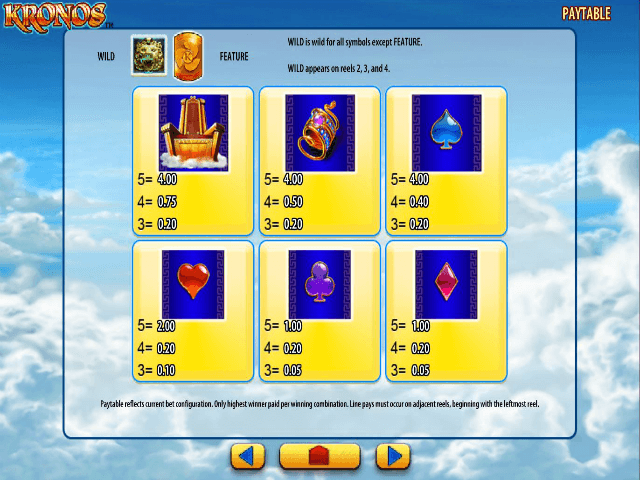 The feature, which is the ‘K’ insignia, activates the free spins bonus when three or more are revealed. The number of feature symbols you land dictates how many free spins you will earn: three rewards players with 10 freebies, four earns 25 and the full set of five doles out a whopping 100 free ones. 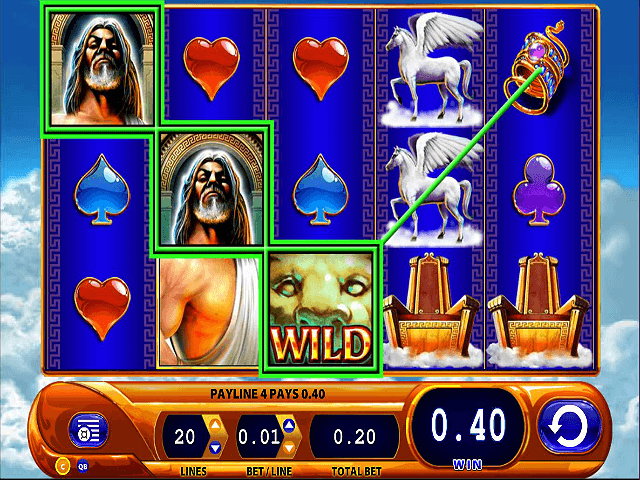 In this bonus round stacked wilds could appear on your reels to bump up your winnings to Olympus-like heights. 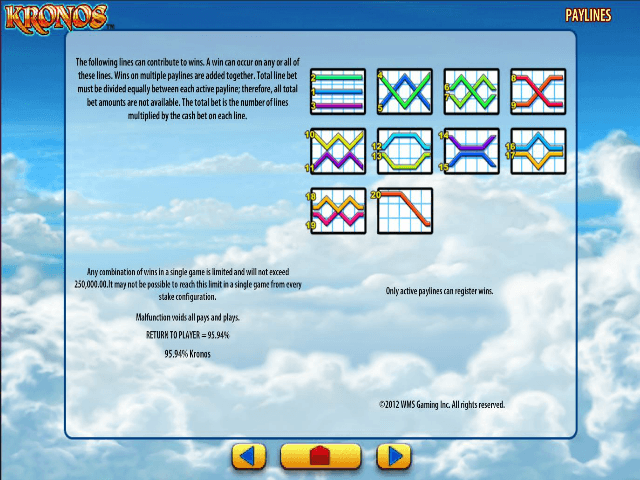 If you like Kronos - You'll like these slots too!